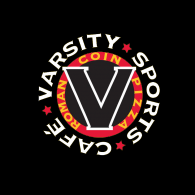 Varsity Sports Café & Roman Coin Pizza is owned by local independent business owners who have been working together for over 15 years. When we decided to open our first location, our goal was to become a part of the community and bring the best food and service to the area. We feel we have the best pizza in town and that our “sports bar” will carry the events that you want to see. We take great pride in serving the communities that have so graciously supported us. We invite you to come enjoy a great meal and a good time!